When I was in my 20s, I lived in a big city on the Northeast coast. Considering that this was a big, dirty, polluted city, I was a bit shocked when I overheard some colleagues planning a weekend trip to go mushroom foraging. I joined them and was amazed at how many mushrooms we found. And it turns out that mushrooms aren’t the only wild edibles you can find in the city. 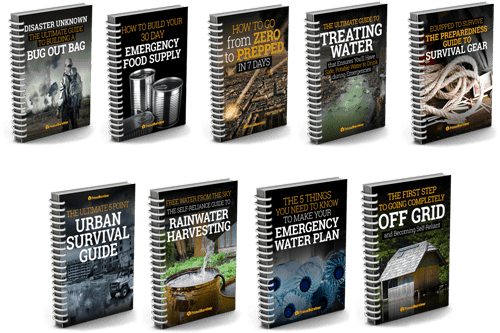 While these all aren’t exactly the tastiest foods you can eat, you will be glad they are there in a survival situation. In the USA, we use roses as decorations. But, in many other parts of the world, it is quite common to make sweets and even things like ice cream out of rose petals. It turns out that they are actually quite tasty. Just try to avoid eating the white part on the end of the petals as this part is very bitter. You can chop up rose petals and put them into a salad, mix them with butter and spread on bread, make jam out of them, or just munch on them raw in starvation situations. If you are going to try eating roses in an non-survival situation, make sure you choose organic ones. 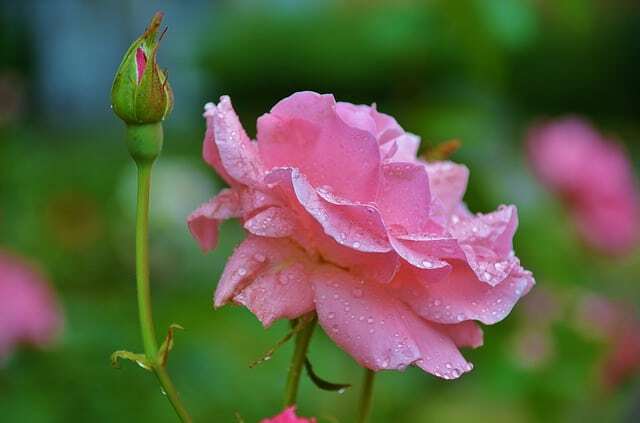 Roses are one of the most heavily sprayed plants! Young leaves are the best. By the time the flower blooms, the leaves will be VERY bitter. Use young leaves in salads. 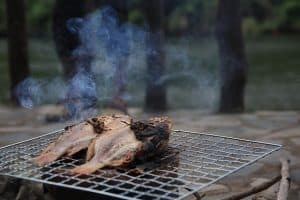 Older leaves can be cooked to get rid of some of the bitterness. Dandelion flowers can also be eaten. Choose flowers which haven’t bloomed yet as they will have the mildest taste. 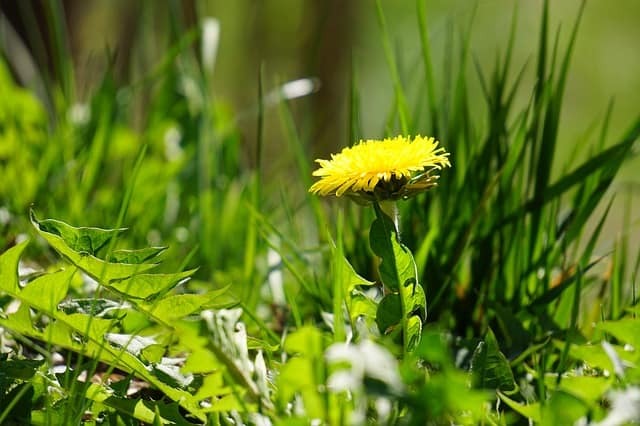 In the fall, dandelion roots can be harvested and dried. Roast them and they make a good coffee substitute. Acorns are a great urban edible plant because they are so full of protein. The problem is that they contain tannins which make them incredibly bitter and also will upset your stomach. You must leach out the tannins before you eat acorns! 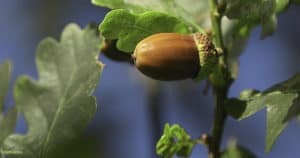 We have a great post on how to prepare acorns to make them edible. Basically, you need to shell them first (you can do this in bulk by smashing a bunch of acorns with a big rock and then separating out the meat from the shells). To leach out the tannins, just soak the acorns in some warm water for a few hours. Toss the water and then taste the acorns. If they are still bitter, repeat the soaking process until they don’t taste bitter anymore. This is one of my favorite urban edible plants. It is chock full of vitamins and minerals like iron and magnesium. Pick the small leaves at the top as they have a nice mild taste. The bigger leaves are more bitter but still edible. Just make sure you wear gloves while picking them or you will have stings all over your hands (if you don’t have gloves, just put plastic bags over them instead). 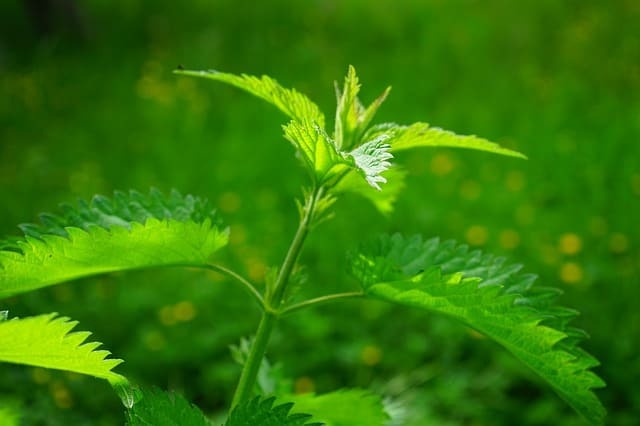 Once you cook the nettles, they don’t sting anymore. Great for stir-fry or steamed. Fiddlehead ferns are just ferns that haven’t become ferns yet. 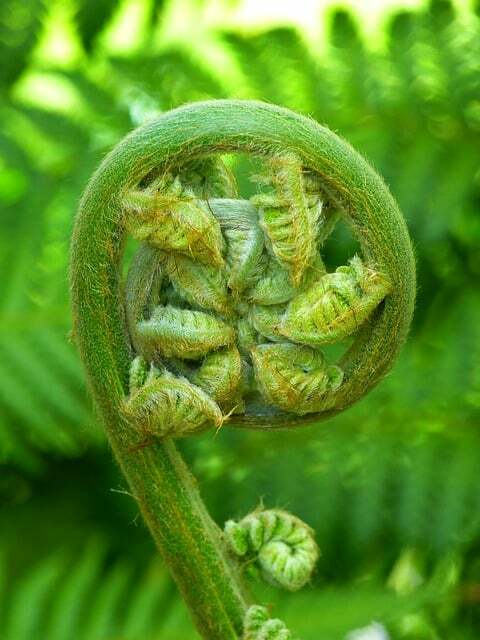 If you live in New England, you might be able to find fiddlehead ferns during their short season in spring. 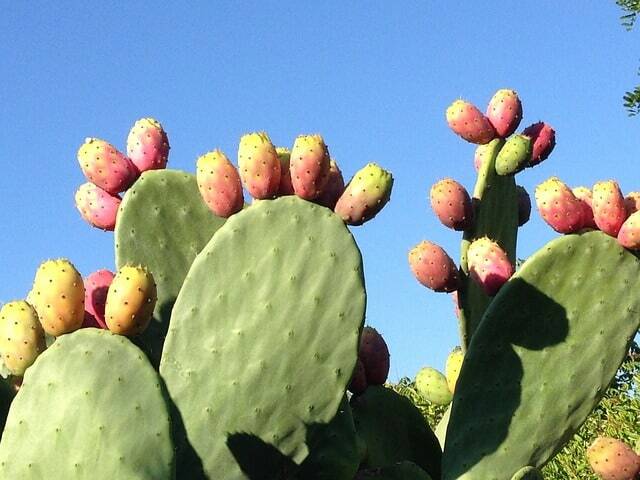 They are incredibly tasty and have a nice crunch to them when eaten raw. Plus, they are one of the few greens my kid actually likes to eat (probably because they look so friggin’ cool). This plant grows all over the continental USA and tastes better than spinach. 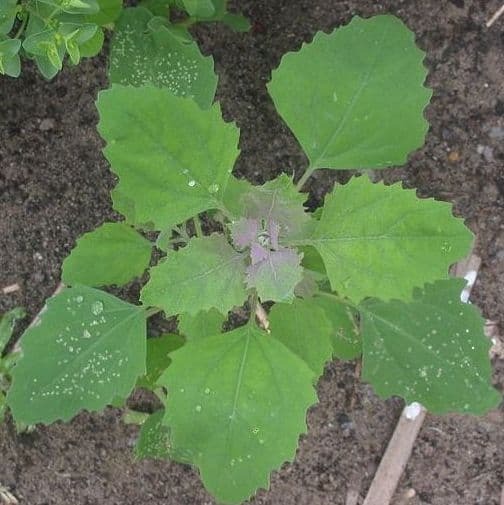 It is also called goosefoot or pigweed. 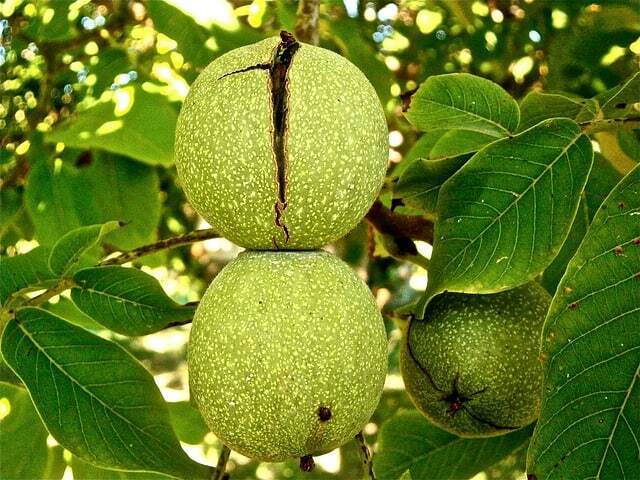 I’m surprised how many people don’t know what a walnut looks like in the wild! 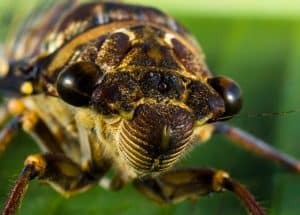 Once you realize how easily you can find them in city parks, you won’t want to pay $10 a pound for them ever again. And your kids will have fun banging them open to get the meat inside. 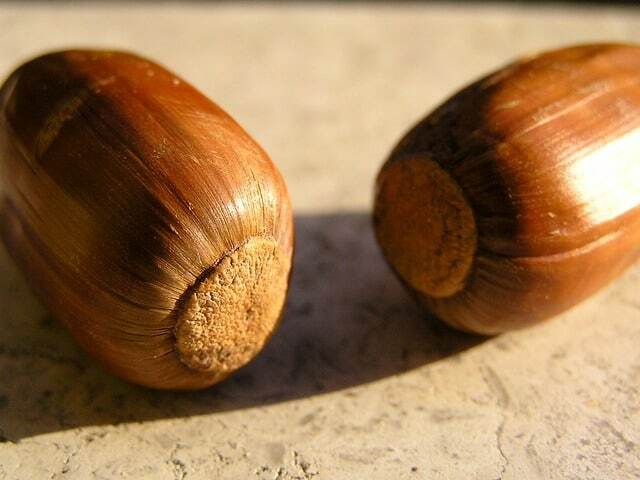 Like walnuts, chestnuts are another nut that you can easily find in many parts of the USA. 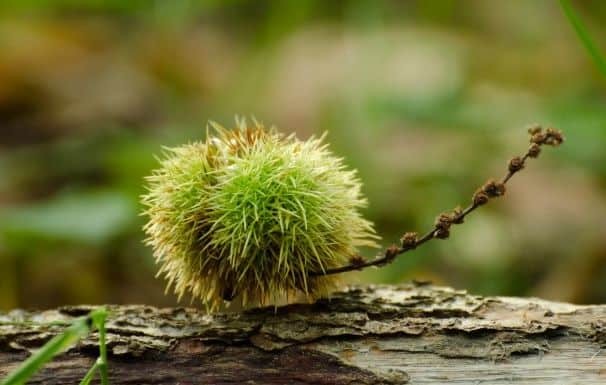 Just be warned that there is a difference between horse chestnuts and sweet chestnuts. Horse chestnuts are terribly bitter and poisonous (though you’d have to eat a lot of them to kill you). Sweet chestnuts are the ones we eat on Thanksgiving. 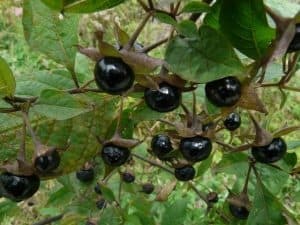 These are one of the tastiest edible plants you will find in urban environments. The flowers taste awesome and can be eaten raw or sauted in a bit of butter. The stalks are also edible but don’t taste as good – they are slightly bitter and a bit tough. 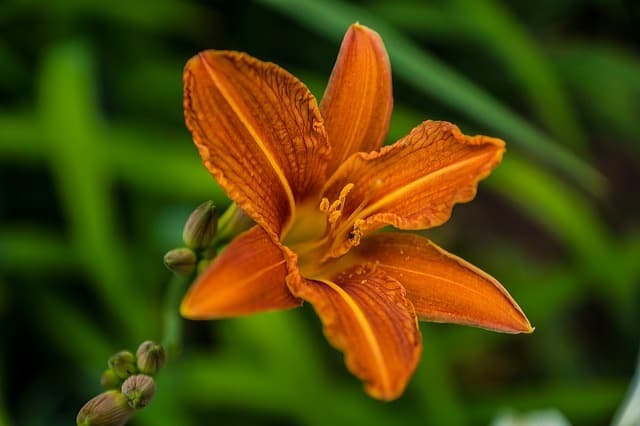 Daylilies don’t have bulbs like other lilies. They have little tubers that look like sweet potatoes. Guess what? They taste like a sweet potato too! Saute the tubers in butter or boil and mash them. Don’t eat the tubers raw because it can give you indigestion. 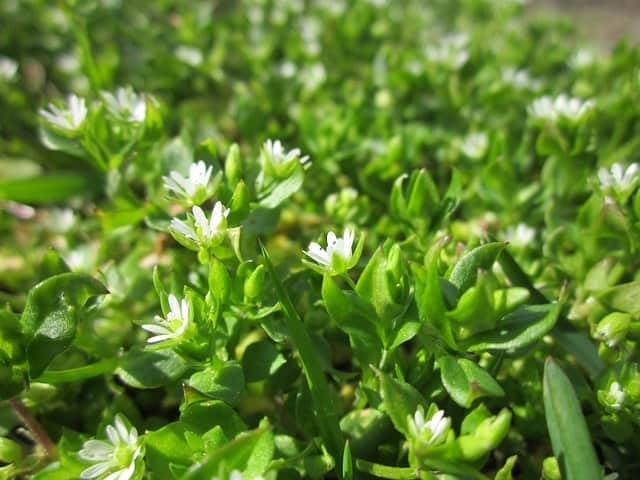 Chickweed is a plant that gardeners spend a lot of time trying to get rid of. But, in a survival situation, you will be really glad that this plant is there. It grows pretty much anywhere that there is moist, rich soil. The stem, leaves, and flowers are all edible and can be eaten raw as a salad. 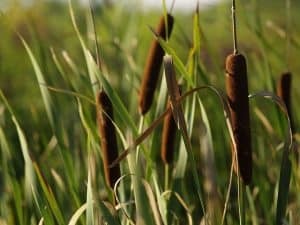 Got a marshy area near where you live? Go grab some of the cattails growing there and pull up their roots. The roots are edible and taste pretty good when roasted, boiled, or baked (a bit like a potato). You can also eat the center of the stalks when they are still young in the spring. 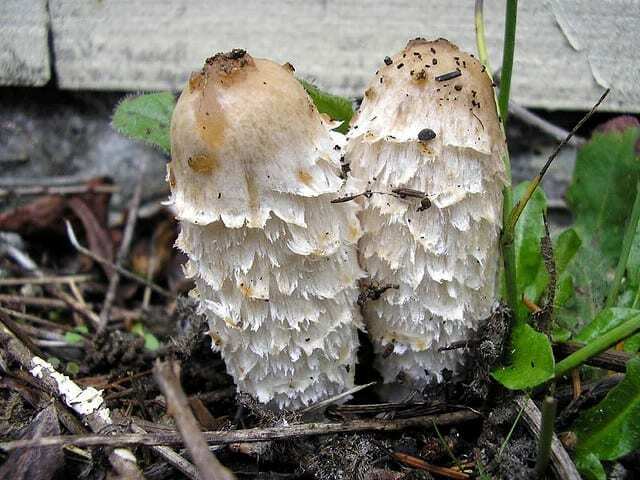 There are a bunch of edible mushrooms which can be found in urban areas, like the shaggy mane mushroom and fairy ring mushroom. I’d be cautious about eating mushrooms you find though. Some mushrooms are highly poisonous and can resemble edible species. So spend some time researching edible mushrooms and maybe join a foraging group. Unless you are 100% sure that the mushroom is edible, then you are better off eating one of the other edible plants you can find. Have you tried any of these edible plants? Which ones did I miss? Post your comments below. I grew up poor here in the Pacific Northwest. One time in early spring I’m guessing I complained to Mom that there was no lettuce for a sandwich. She told me to go out and pick some young Dandelion greens, wash and dry them and they would work. I ate them until it got too warm and the greens became bitter as gaul. She taught me to gather Lamb’s Quarters out of last-years garden. I think we cooked it. We ate all the mushrooms a neighbor lady brought us out of her forest, too. Later we learned from my folks where and how to pick Chantrells and loved it during deer hunting season to get a deer AND find some Chantrells to cook with the deer liver and heart. When I was 12 we went up to Palmer Alaska and Mom taught us to eat the Wild Rose Hips, I think they’re called, that keep growing after last years petals are gone. Full of vitamin C I believe. Really interesting comment Kay, sounds like your Mom passed down some useful skills. Rosehips make excellent tea & are loaded with vitamins. They can easily be found & picked in the fall when roses have dropped their petals. You’ll find bright red hips in their place. Great to add to your backpack food stash too as they’re very lightweight once dried. They could also be chewed on as-is, although they’d be fairly sour. I’ve also found wild garlic, onions & mustard in urban parks, along with many medicinal mushrooms such as turkey tail, reishi etc. I’ll second dandelion greens. They’re amazing when picked while the leaves are young. Use for food or medicine. Wild raspberries (leaves & fruit; leaves made into tea, especially great for women), blueberries, cloud berries, salmon berries, wild asparagus, comfrey leaves & roots (culinary & medicinal), clover flowers (tea & salad), burdock, chamomile, calendula (marigold petals), lavender (tea, alcohol infusion, use to scent sugars etc) birch sap (drink), pine needles (tea), devil’s club / cat’s claw (we have these here in urban environments, for arthritic & rheumatic pain), are some others which can be used in the kitchen & medicinally. There are so many more. 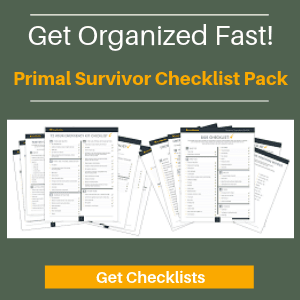 Hi Sandra – thanks for sharing some great tips, its surprising what is available even in the most unlikely places. You may also be interested in our other foraging articles.